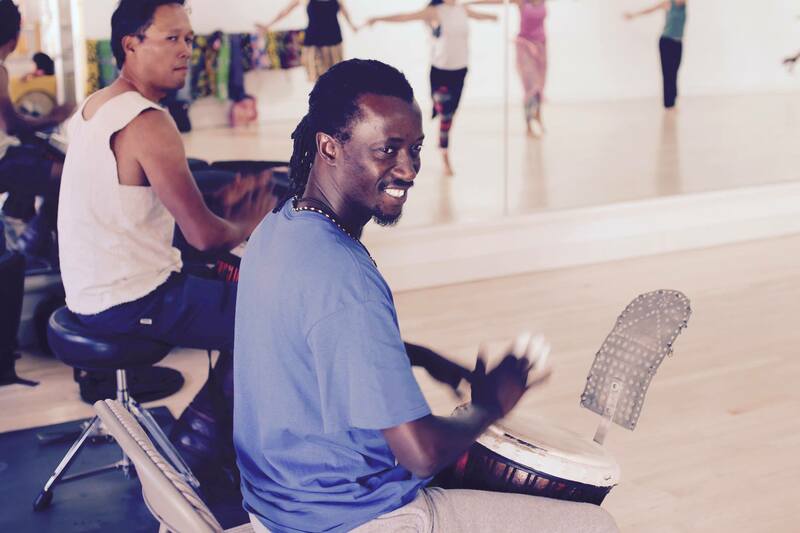 Ibou is a very talented and sought-after Senegalese percussionist who resides in Santa Cruz, California. He has a warm, joyful presence and is an excellent teacher. I’m from Senegal, West Africa, and I grew up in Guediawaye, outside Dakar, with my parents and siblings. 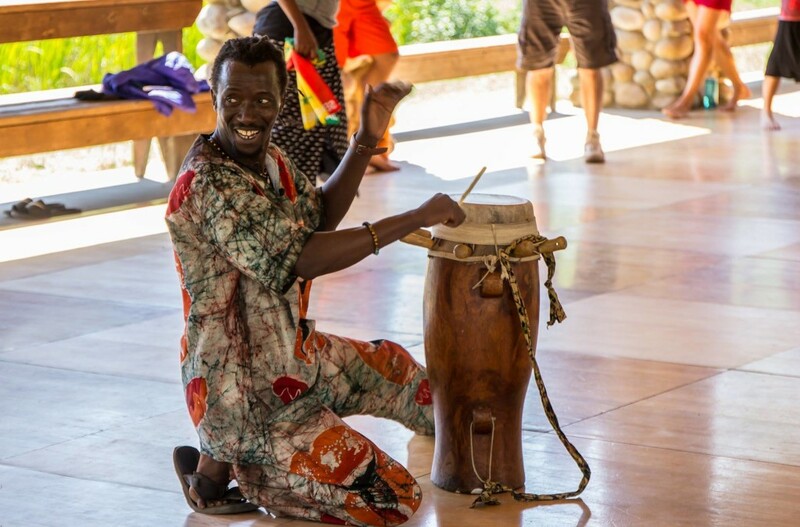 We are a Griot family, which means people who play drums, dance, sing and tell stories about culture to maintain traditions. My dad was my teacher. He is the one who taught me how to play Sabar and talking drums. My brothers are drummers and dancers, working in Spain and Senegal. Why did you become a drummer and teacher? I started drumming early at 7 years of age, taught by my father and my friend’s brother. That means I’ve been drumming for over 30 years. I’ve been teaching for almost 20 years. I love to share my culture with students. It’s a lot of fun to make everyone happy. Do you like living in the USA? Senegal is my first home because I was born there. I’ve spent half my life in the USA after I moved there to help support my family in Senegal. My daughter is growing up with me in California, so it’s like my second home. Have you travelled anywhere else? When I was young, I travelled to Spain on tour with one of the ballet companies that I worked for and learned Spanish. I’ve been to Australia before, you might remember taking my class! 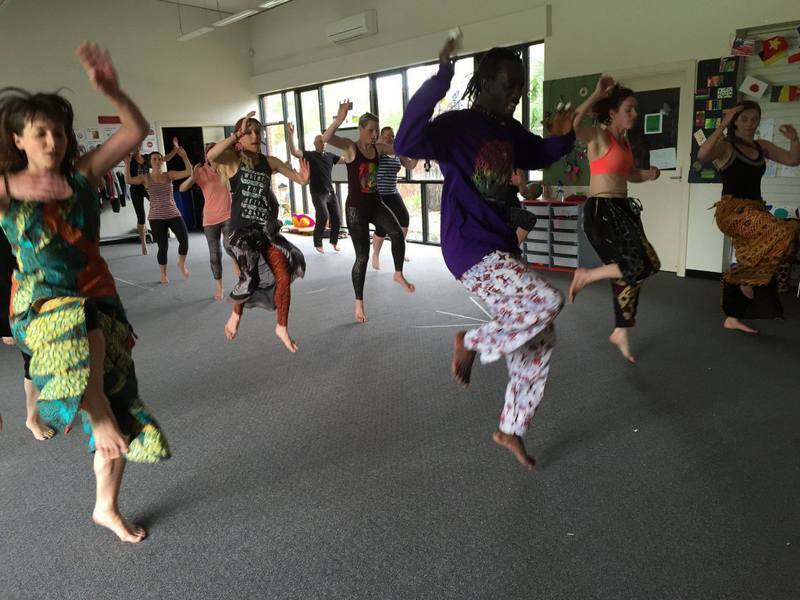 People in Australia are friendly and there is a good dance community. I love the rainy weather in Melbourne. I’m not sure about driving on the left side of the road, but I’m looking forward to coming back. 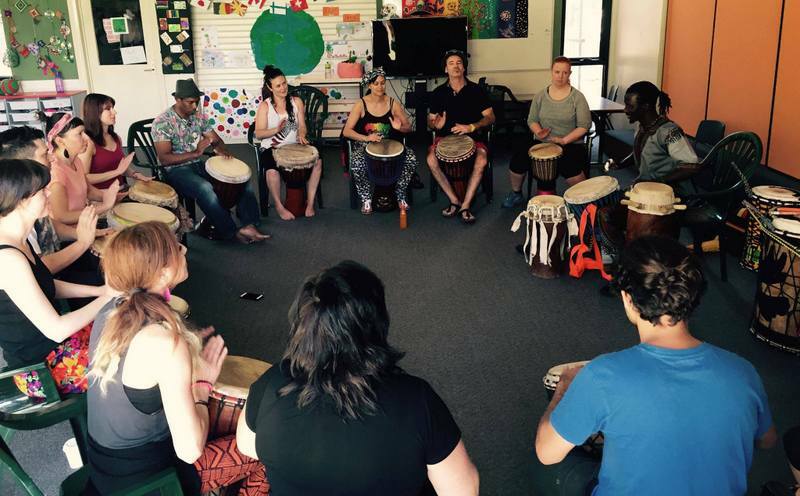 Ibou taught some drum and dance workshops in Melbourne in 2015 which were well attended and very much enjoyed!